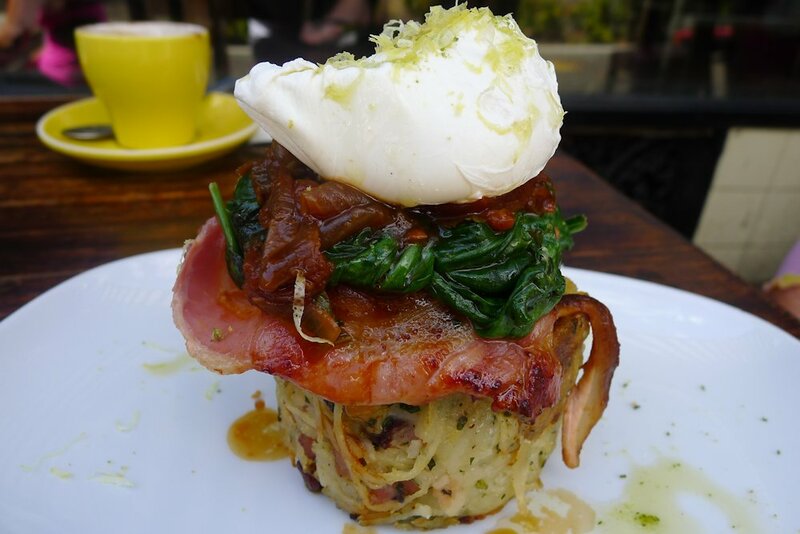 The last time I visited Elizabeth Bay Café, I was thoroughly impressed by our meals. The poor service that I’ve seen mentioned on social media comments was nowehere to be seen and I am pleased to report that the case was the same this time as well. I found the waitstaff to be friendly and attentive even though they weren’t as on-the-ball as some other establishments I’ve reviewed. While the coffee itself took a few minutes, the rest of our items were served very quickly so I have no complaints in the service department. 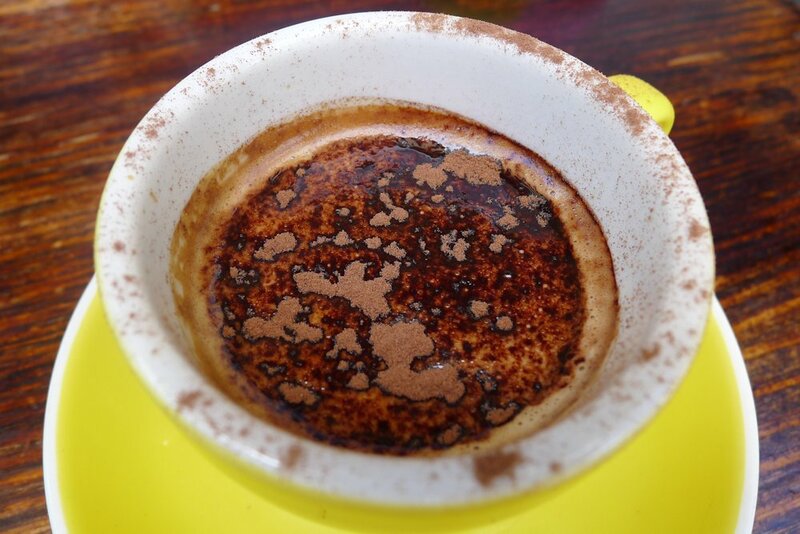 Our Allpress coffee (regular $3.30, large $3.50) was prepared well and at an unheard of price! Kudos to EBC on a quality cup for a bargain. The smoothies ($7) available are strawberry, mixed berry, mango or espresso. My mango smoothie did not have an exceptionally strong mango flavour but it was enjoyable regardless. 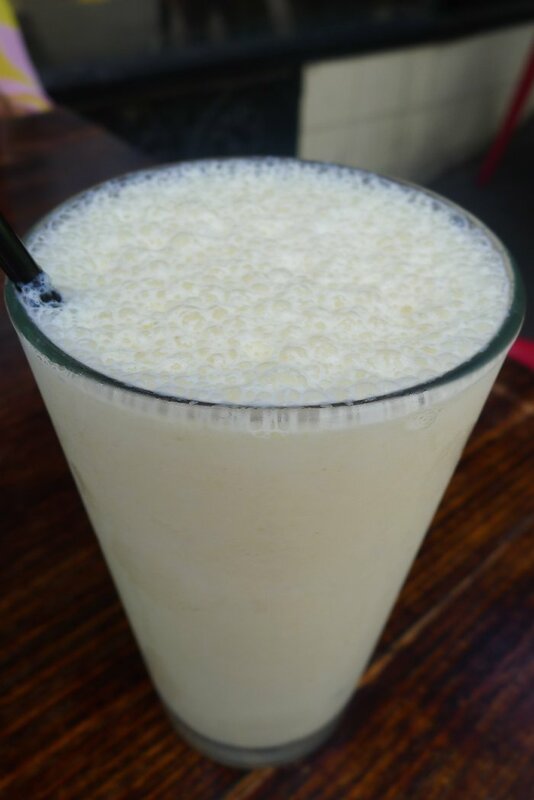 It was bordering on milkshake territory though as it was very milky. I would suggest sticking to the berry smoothie or the coffee. A revisit to the tower of deliciousness that is the EBC hash brown ($17). The soft hash brown itself resides at the base of the stack and is (the menu says “filled” but I’d say…) dotted with corned beef – I would have preferred more. No complaints though about the crispy bacon and buttered spinach above. The tomato and mint relish is sublime but again I wanted more of it. 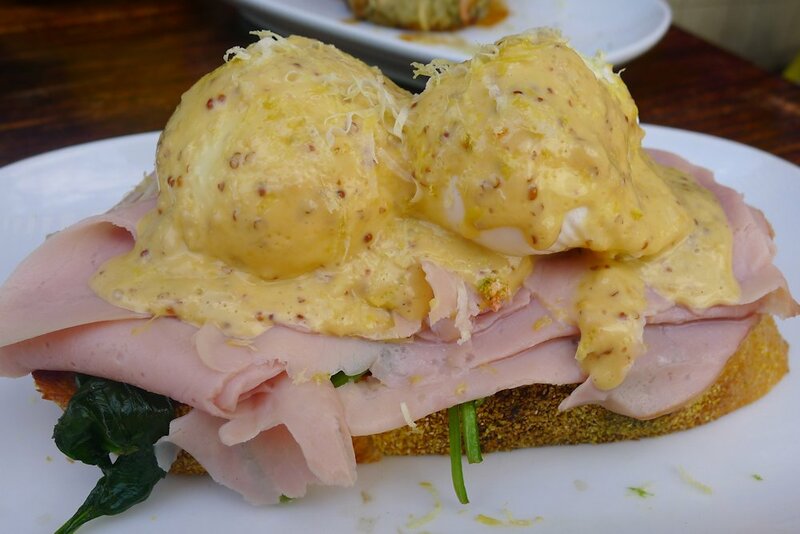 Let’s start from the bottom of the eggs Benedict ($16). It arrived served on a base of fluffy sourdough that my knife could actually get through the crust of! The spinach melted in my mouth and I loved the fact that there were multiple layers of ham (smoked salmon also available for the same price). The eggs were poached perfectly. The hollandaise is the only problem I have with this dish. The seeded mustard unfortunately doesn’t do any justice to what otherwise would have been a luscious, smooth and creamy sauce. The mustard was very overpowering and frankly not needed. So what else is available? A neighbouring table received two orders of the corn fritters (topped with avocado, tomato salsa and crispy bacon, $16) which looked great. I’d also suggest trying the buttermilk pancakes with a butterscotch sauce and bananas ($14) or the ‘staffie’ (egg white omelette with smoked salmon, avocado, wilted spinach and smoked chipotle, $16). At EBC, the vibe is friendly, the coffee is great and some great flavours make their way out of the kitchen. The weekend specials are normally worth a try too as quite a small but good menu does give them room to experiment with a variety of new dishes each week. 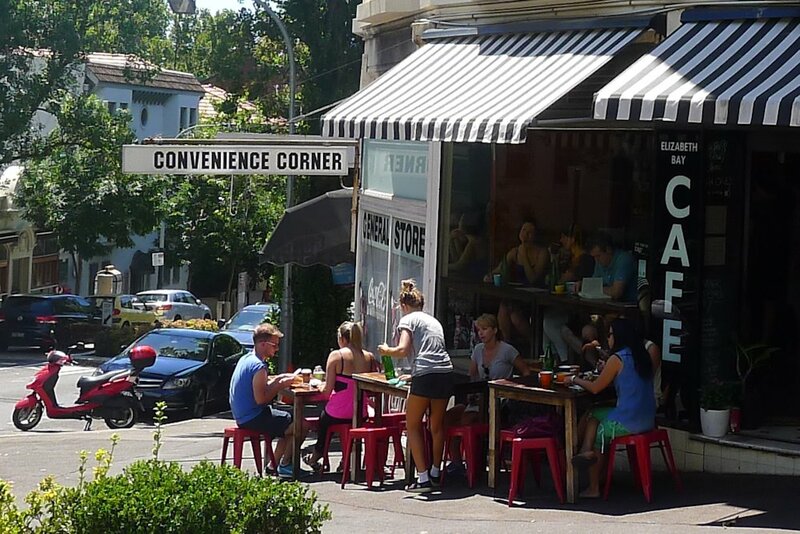 This entry was posted in Sydney - Inner East and tagged Dog friendly, Organic Options, Outdoor seating. Bookmark the permalink.